Jamie here to share a fun Valentine's card with you! 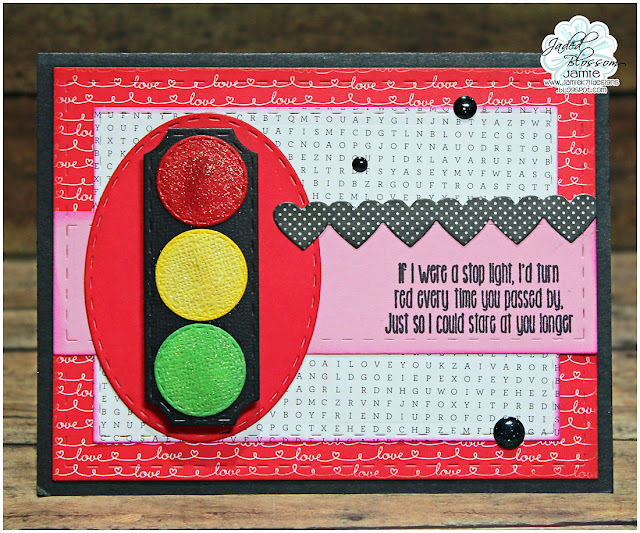 I created used the Card Mat Die for the mat and the pink section that I stamped the sentiment on. Then I added the heart border from Valentine Dies and a Stitched Oval. Last I created a stop light with the Ticket Book Die and the circle from Film Dies!